In mergers and acquisitions, buyers and sellers must identify the risks and the opportunities associated with the business under consideration. 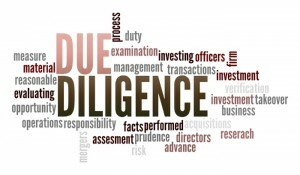 Conducting effective financial due diligence can help buyers structure strategic transactions and avoid costly mistakes. It can also help sellers better understand the strengths and weaknesses of their position pursuant to a deal. At PML Advisory, we conduct detailed due diligence for our clients in relation to merger and acquisition arrangement. At PML Advisory we understand that no two companies or transactions are the same. Therefore, carrying out financial due diligence, we customize our approach to meet our clients’ specific needs. Our professionals have the requisite skill and experience to deliver your key expectation.